Ancient Romans developed cheese-making into a precise art using many of the skills from earlier times. The Romans understood that varying cures and treatments infused their cheese with unique flavors. They were also the first to develop the aging process, providing the cheese with an even more complex set of flavors. Romans invented the caseale, or cheese kitchen, to hone their skills. 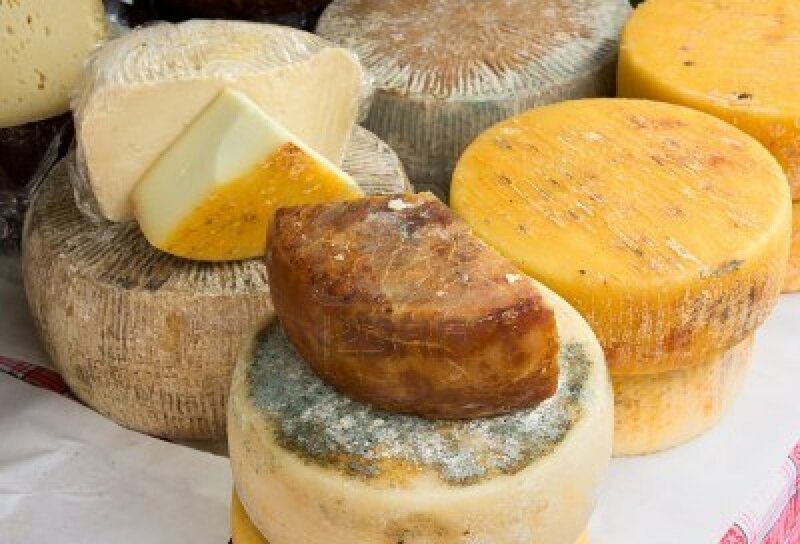 The process of smoking cheeses also originated in Ancient Rome. Knowledge of cheese-making skills spread throughout Europe, sparked by the growth of the Roman Empire. Since then, many countries have added contributions to the world of cheese, but the most treasured methods and recipes are native to Italy. Alta Badia – This cheese is named after the lush Alta Badia Valley nestled in the Dolomite Mountains of Italy. Alta Badia is made with fresh, pasteurized whole cow’s milk from select farms. This cheese has a light-brown rind and a closed-textured consistency as a result of the 180 day ripening process. One can expect this cheese to be aromatic and flavorful, with a straw-colored center. Alta Badia can be melted or eaten and is a table cheese. Light, fruity red wines pair very well with this particular cheese. Asiago d’Allevo is handmade by artisan cheesemakers northwest of Venice at the foot of the Dolomite Mountains. Unpasteurized cow’s milk is the main ingredient. This cheese has a light-beige color and is peppered with small holes. A five month aging process leaves this cheese aromatic, with a fruity bite. Asiago d’Allevo works well in salads and on crackers due to its firm texture. Beauty can be found in simplicity; no modern technology is used in making Asiago d’Allevo. Asiago d’Allevo Oro del Tempo – Think of this as a special reserve cheese. Distinct from regular Asiago d’Allevo, this cheese is aged for a full year. The result is an enjoyable sharpness with an accent of butterscotch. Like its predecessor, Asiago d’Allevo Oro del Tempo is made with unpasteurized cow’s milk. The texture is firm enough to allow for grating over many traditional Italian meals. Asiago Pressato – A mild, sweet Asiago with a light interior. The Po Valley near Treviso is the home of Asiago Pressato. This cheese is protected under Italian DOC (Denominiazione di Origine Controllata) to protect its authenticity. Asiago Pressato is made from pasteurized whole cow’s milk and aged for twenty to forty days. A full and creamy flavor goes well with Italian bread and wine. Baita Friuli – The Friuli-Venezia region of Giulia, located in northeastern Italy is home to this delicious, firm-textured cheese made from unpasteurized cow’s milk. The aging process lasts for about five months leaving the cheese with a rich and spicy flavor. Baita Friuli works wonderfully with pears and salads. Basilio (Pecorino al Basilico) – Brilliant pesto flavors are characteristic of this artisan cheese made from unpasteurized sheep’s milk. Basil and extra-virgin olive oil are rubbed on the rind of this pecorino infused creation of the Tuscan organization “Il Forteto in Mugello”, located outside of Florence. Bel Paese – Literally meaning “beautiful country”, this cheese was invented in 1929 by the Galbani Cheese Company in Lobardy. A wax rind covers the uncooked cheese made of pasteurized cow’s milk. The small discs have a soft texture and are peppered with small holes. Bel Paese appears pale with touches of creamy yellow. This cheese is similar to mozzarella in its mild, buttery flavor but is distinct in its body and tang. Bel Paese is versatile and easily melted; it can work well with crackers, casseroles and pizzas, or as a dessert-cheese. A light chardonnay is the perfect compliment. Bigio is a semi-hard pecorino cheese made from pasteurized sheep’s milk. This cheese has a unique aging process. It is matured for five months and then matured once more under ash for an additional three months. Moisture is absorbed into the cheese while it lies under the ash. The result is a cheese of lower acidity and a sweeter taste. It is hard enough to grate yet also works sliced or chunked. Blue del Moncenisio – A real Italian classic! The home of Blue del Moncenisio is a beautiful village in the Province of Turin. Its name comes from the Moncenisio Pass in Val di Susa near the French boarder. This pasteurized cow’s milk cheese is aged for four months, leaving it dense, moist, and spicy. Try eating it as a dessert-cheese with a rich chutney. Boschetto al Tartufo Bianchetto is created from blending both pasteurized ewe’s and cow’s milk. Boschetto al Tartufo Bianchetto is known to be mildly sweet and tender. Shavings of white truffle can be found within the cheese. Each finished piece is hand-packed in its own wooden basket by Il Forteto’s master cheese-makers. Boschetto al Tartufo Stagionato – This pure pasteurized sheep’s milk cheese is matured for four months. Complementing the sheep’s milk is an extremely pungent and scarce blend of white truffle. The base is firm and dry leaving it easy to grate. Boschetto al Tartufo Stagionato has a strong flavor and aroma. Bosina Robiola – Originating from the town of Bosina in the center of the Alta Langa region, this Piedmontese cheese is made from all natural ingredients with no additives. The cheese is produced by hand with local milk. Bosina Robiola is straw-colored with a white exterior. This cheese is known for its “countryside” scent. Bra Medio Tenero – This cheese is aged for six months in cellars within the Italian province of Cuneo in Piedmont. Nomadic herdsmen of the area typically provide the sixty day-aged, unpasteurized cow’s milk. Once the cheese is made, it is aged for an additional six months, leaving it very sharp. Characterized by its yellow-orange coloring, Bra Medio Tenero is also hard enough to grate. It is also included in the Italian D.O.C. Brillo di Treviso – A red wine-washed, pasteurized cow’s milk cheese from Venice. Brillo di Treviso is made in individual 12-14 ounce wheels. The ivory-colored, soft cheese is covered by a thin rind and infused with the fruity flavors of Italian red wine. This cheese is very easily melted. Brillo Pecorino DiVino – One of the oldest cheeses in the world, clocking in at over 2,000 years. This cheese is a mixture of pure, pasteurized sheep’s milk and wine. An edible burgundy-colored rind covers the wine-infused interior of this Tuscan creation. Brinata (Sheep’s Milk Brie) – Made from select, pasteurized sheep’s milk. The cheese has a soft smooth texture and is covered by an edible white mold rind. Brinata has more moisture than a typical brie. This cheese originates from Tuscany. Briscole al Barbera – Also known as caciottas, these small cheeses are made with either cow’s or sheep’s milk. This cheese is bathed in Barbera wine, leaving it tart. Burrata – This rare cow’s milk cheese from the Puglia region has a very short shelf life and must be eaten within days after it is made. It is basically a sack of mozzarella filled with butter-cream. One may find the asfodelo leaf wrapping useful because if the leaves stay green, the cheese is still fresh! Cacio di Fossa – This is a pasteurized sheep’s milk cheese with a unique creation process. First, in mid August the cheese is disinfected through intense heat and lined with hay. The cheese is then tied in a burlap sack, placed on wooden planks, and buried in fossas that have been dug into the ground. No air is able to get in through the hermetic seal. The cheese is retrieved from the ground and cleaned on the November 16th holiday of Santa Caterina. Cacio di Fossa has an intense, sharp flavor. Caciocavallo DOP – The origins of the name of this Southern Italian cow’s milk cheese are unknown. Like mozzarella and provolone, Caciocavallo is a pasta filata cheese. Aged for three months, Caciocavallos take on a tangy, meaty flavor with traces of anise and almond. This cheese is often characterized by its gourd-like shape. Caciotta Capra Foglie de Noce – This cheese is made from pasteurized goat’s milk and aged in 5 pound wheels. After aging, the cheese is wrapped in Walnut leaves to further develop its character. A dry texture and sharp bite characterize Caciotta Capra Foglie de Noce. Complex would be an understatement. This cheese can be described as zesty, tart, lemony, and earthy. Caciotta Dei Boschi – Made by the Lopez Company located in the Roman countryside, this cheese is known for its Roman sheep’s milk and black truffle shavings, which provide a lingering aftertaste. Caciotta Dei Boschi is sharp and tangy with an aromatic scent. Bits of Porcini mushrooms further develop the flavor of this artisan cheese. Caciottona al Pepe e Olio – This semi-hard goat’s milk cheese is straw-colored and contains evenly distributed eyes. A soft and delicate flavor is the result of a 60-day aging process. Olive oil and cracked black pepper are rubbed into its rind. Caciottona Capra by Perenzin – Bios certified. This cheese from the “Valle del Piave” is made of pure organic goat’s milk. Caciottona Capra by Perenzin is crumbly yet semi-hard. This white caciottona has a well-rounded, earthy flavor common of goat’s milk cheeses. Complex flavors are a product of the free-roaming goats from the Veneto region near the Dolomite Mountains. Their milk reflects the varied grasses, flowers and herbs they feed on. A piquant flavor is the result of a year or more maturation. Canestrato Pugliese – Named after the baskets used for its aging process. The Apulian reed baskets infuses the cheese with a sweet flavor. A crinkled rind has become the signature feature of this rare Southern Italian cheese. The sheep used for milk are only permitted to feed on Apulian green grass. Capra Ubriaco al Traminer – This semi-hard Valle del Paive goat’s milk cheese is aged in red grape must for ten days. It has a characteristically dark rind to which the grape residue clings. The end result is a beautifully aromatic Italian classic. Capradoro – From the Mediterranean Island of Sardinia, this rare cheese is made from the milk of goats who feed on the region’s varied herbs such as rosemary, sage, juniper, and myrtle. The cheese is hard and flaky with a lemony tang. Floral accents result from the variety of herbs infused into the goat’s milk. Crafted by Sardoformaggi. Caprino – This blended goat’s and cow’s milk cheese from the alpine town of Busche, in the Belluno province, is a classic. The acidic goat’s milk and sweet cow’s milk complement each other nicely. Caprino starts off sweet and becomes bitter with age. This cheese works well with many foods. Caprino al Pepe Nero – This cheese, from the town of Busche is the same as “Caprino” with the addition of black peppercorns. Castelmagno – Named after its town of origin and considered the most important Piedmontese cheese, Castelmagno uses a trio of milks: partly skimmed cow’s milk, with small amounts of sheep’s and goat’s milk. A hard brown rind covers a firm, pearl colored cheese that may contain edible blue-green veins. The flavor is both savory and salty after its six-month maturation in a mountain grotto. Only six thousand wheels are produced per year, making this cheese particularly rare. Chili Pepper Pecorino – A gentle heat comes along with this sheep’s milk cheese. Red Italian peperoncinoflakes dot the outside of this pecorino. The cheese is aged for three months and has a firm texture. Conciato al Pepe Nero – This sheep’s milk cheese from Venice comes fully dressed in black pepper. It has a distinct spicy, hot flavor. Conciato in Barrique con Foglie di Noce – This seasonal cheese of cow’s or sheep’s milk is aged inside of barrels with layers of walnut leaves. It is known for its unique and unusual taste, which can be traced back to the walnut leaves. The Italian term for barrel-aging is barricato. Cravanzina – Local to the Langa region, Cravanzina is a round, soft-ripened cheese handmade from a blend of sheep’s and cow’s milk. It has a creamy texture with a thin crust. Only 100% natural ingredients are used; no additives. Note: this cheese must be eaten at room temperature for an optimal experience. Crema di Roma – A sweet, light cheese common to the Roman countryside, Crema di Roma was created by Giuseppe Lopez. It is younger and more suitable for table use than his other creation – Pecorino Romano. Flavored versions are available. Crescenza – Also known as Stracchino, this cheese is produced in Italy’s northern provinces of Lombardy, Veneto, and Piedmont. Overall, it is very similar to Gorgonzola (minus the blue) and becomes soft very quickly at room temperature. Meant to be eaten fresh, this cow’s milk cheese has a rich, creamy flavor. Crotonese – This sheep’s milk from Calabria in southern Italy is formed in 4 pound wheels between January and June. Crotonese is oily, sweet and salty, with the traditional pecorino flavor. Its rind takes on a ribbed texture due to the woven molds used in making the cheese. Crucolo – Made from unpasteurized cow’s milk common to the Rifugio Crucolo, a historical restaurant in Trentino, this cheese has a moist texture and is dotted with holes. Crucolo is infused with the scents of cold meats, wines, liquers, and grappa which age beside it in Rifugio Crucolo’s cellar. The result is a sweet, bitter and spicy taste. Fontal – A semi-soft table cheese made from pasteurized cow’s milk, Fontal is named in honor of the classic Italian mountain cheese Fontina Val d’Aosta. This cheese has a sweet and nutty flavor; it also melts very well. Note: Fontal is a gourmet variation to mozzarella for use on pizza. Fontina Val d’Aosta – The 90 day-aged milk used for this cheese comes from cows living and feeding in the high-altitude pastures of Italy’s Aosta Valley region. The wildflowers and herbs of the pastures are said to be infused in the flavor of this cheese. Fontina Val d’Aosta has a savory, flavor with hints of grassiness. This table cheese is known for its highly aromatic nature and integrity while melting. Gorgonzola Dolce – This is authentic blue cheese from Lombardy, Italy is made from pasteurized cow’s milk. Gorgonzola Dolce is often imitated, but never matched. The Authentic Italian version comes in two variations: Dolce (sweet, and almost spreadable) and Mountain (sharp, and more firm). This cheese is characterized by its pale white coloring and streaks of blue. The flavor can be described as supple and decadent. Note: Gorgonzola Dolce is a member of the stracchino family of cheeses. Grana Padano Fresco – A younger version of Grana Padano, this cheese has a much sweeter flavor than its traditional relative. Grana Padano Fresco’s richness complements fruit and bread nicely. It works well alongside many dishes, making it a perfect table cheese. Grana Padano Stravecchio Oro del Tempo – Produced by Agriform located near Venice, this unpasteurized cow’s milk cheese is a 22-month aged version of Grana Padano. The flavor of Stravecchio, comparable to Parmigiana Reggiano, is both complex and intense. Depending on the season, this cheese has fruity accents of pineapple or strawberry. Gran Padano Stravecchio Oro del Tempo is tested monthly until the twentieth month of its aging process. Each wheel is considered a work of art and is branded with its own serial number, and a certificate of origin and guarantee. Imperatore – “The Emperor” comes from the Sardinian town of Buddusò. Each of these massive thirteen pound sheep’s milk cheese-wheels is handcrafted by Sardoformaggi. This cheese is aged for 120 days, resulting in a delicate, yet intense flavor. The sheep graze only on the well-known lush green grass of Buddusò. Kosher Parmigiano Reggiano – Delicious and full-flavored, this cow’s milk cheese produced by Fantacini is made in Italy under the supervision of the Beth-Din from Milano. Cattle grazing in ideal conditions in the “Zone Tripica” area located within the regions of Parma, Reggio Emilia, Modena, part of Bologna, and part of Mantua provide the milk for this cheese. It is aged for eighteen to thirty-six months using no modern technology or additives. Kosher Parmigiano Reggiano has been unchanged for over seven hundred years. Lagrein – Made from pure pasteurized cow’s milk from the mountains of the High Venosta Valley. This wine-flavored cheese follows a recipe passed down through generations and has an elastic consistency with patterns of irregular cracks. Only the world-famous Lagrein wine is used to cure the cheese. It is known for its balance in flavoring and has an intense aroma and spiciness. Locatelli Pecorino Romano – The production of this pasteurized sheep’s milk D.O.C. cheese is overseen by the Consorzio per la Tulela del Formaggio Pecorino Romano. It is one of the oldest cheeses in the world, and is native to Rome. A nine month aging process leaves this cheese hard and dense with a strong sharp flavor. A black “Locatelli” branded paper rind covers the pale yellow cheese. Locatelli is perfect for grating over pasta, salads, and soups. Marmottino Piccolo – This small cow’s milk cheese is native to Valle Gran Paradiso within the Valle d’Aosta area. Marmottino has a distinctly fresh taste to go along with its gentle saltiness and tang. The texture of this alpine cheese is firm. Mascarpone – Mainly used in tiramisu, this ultra rich cow’s milk cream cheese is native to the Lombardy region of Italy. Italian cheese-makers drain the moisture from heavy cream with a finely woven cloth and a small amount of citric acid. After draining, a smooth, slightly sweet and fresh cheese remains. It can be used as a spread or topped with fruits. Marzolino – This pasteurized sheep’s milk cheese is a specialty craft of Il Forteto in the town of Mugello in the Tuscan region. The small ivory-colored Marzolino is known for its mild, sweet flavor with hints of flowers from the pasture. The sheep are milked in the spring when flowers are in full bloom. Matusc – A native to the Valtellina region of Lombardy, this blended cow’s and goat’s milk cheese is delicate and soft. Matusc has distinct tanginess but is not overpowering due to the gentle cow’s milk. The texture of Matusc is soft, smooth and even. It is known for its full aroma. Millefoglie Al Marzemino by Perenzin – This is a semi-hard, unpasteurized cow’s milk cheese from the Alpines. Millefoglie Al Marzemino is soaked in red grape must for ten days, infusing itself into the cheese and clinging to the dark rind. Left as a result are a reddish hue and a rich wine flavor. The cheese is textured with pea-sized eyeholes and is pierced with large needles in order to create are vents. Note: this cheese is based on a Montasio recipe. Moliterno Black Truffle Pecorino – Native to the Italian island of Sardinia. Unlike other cheeses made with black truffles, Moliterno is aged before the truffles are added. Oil and vinegar are applied to the rind during its maturation process. When cutting into this raw sheep’s milk cheese, one will notice the dark truffle paste oozing from its veins and crevices. This is a visually unique cheese. Montasio – Originally made by monks living in a monastery on the Montasio mountain northeast of Venice in the Friuli-Venezia region of Italy. Montasio is now protected by the D.O.C. and can be produced in all of Friuli-Venezia Giulia and parts of Veneto. Unpasteurized cow’s milk is used to make large wheels of this nutty, slightly fruity cheese. The high butter-fat content leaves a rich flavor with a hint of butterscotch. Monte Veronese – Originating from Lessinia, the beautiful mountain area north of Verona, Monte Veronese is produced using full-cream cow’s milk. This common Italian cheese is characterized by its scattered, tiny holes and semi-hard texture. A sixty-day aging process leaves Monte Veronese sweet and delicate. Monte Veronese Vecchio – A twelve-month-aged version of the original Monte Veronese. Vecchio is left with a rich and nutty flavor to go along with its delicate sweetness. Mountain Asiago Pennar DOP – An authentic Asiago DOP cheese valued for its time-honored creation process (datings back to the year 1000), Pennar produces this Mountain Asiago known for its unequaled flavor. Mountain Asiago has a very distinct, smooth finish. Mountain Gorgonzola is a sharp and tangy cheese from Italy’s Lombardy region. Mountain Gorgonzola has a white interior with attractive streaks of blue. In Italy it is common to eat this cheese drizzled with honey. Mozzarella di Bufala by Rusticone – It only takes one bite to distinguish the unique, mildly sour taste of the buffalo milk from which this legendary cheese is made. Often copied (but never matched), it is a curd-drawn cheese made of whole Italian water buffalo’s milk. Mozzarella di Bufala has a springy texture and a thin, glossy rind, and is known for its faint, mossy smell. Nevegal – Lattebusch produces this pasteurized cow’s milk cheese from the green-pastured Alpine region of Belluna. A mild and delicate flavor goes along with Nevegal’s satin-like texture. Oro Antico Riserva – Master cheesemaker Il Forteto produces this cheese by taking a young, authentic Pecorino Romano and aging it with olive-oil in their stone cellars for six months. The cheese becomes harder and tangier monthly with the addition of more olive oil. Most of the moisture escapes Oro Antico Riserva, leaving it grainy in texture. Accents of wild herbs and lemon grass can be found in the flavor of this 100% ewe’s milk cheese. A red-wax seal is characteristic of this Italian specialty. Parmigiano Reggiano – Parma, Reggio Emilia, Modena, part of Bologna and part of Mantua can claim ownership of this unpasteurized cow’s milk creation of the “Zone Tripica”. Parmigiano Reggiano is aged for eighteen to twenty-four months and uses no additives or machinery. This cheese has been unchanged for some seven hundred years. Its texture allows for easy grating. Parmigiano Reggiano Stravecchio – A 36-month aged version of Parmigiano Reggiano. The cheese achieves a salty tang with a fruity flavor. More chunky crystals form in this deep golden-colored version. Parmigiano Reggiano Vacche Rosse – Produced by Fantici in Villa Sabione, this delicacy uses milk from the beautiful red-coated Reggiana cow. This unique cow is rare, therefore only small quantities of Vacche Rosse are made. A minimum 30-month aging process is required for Vacche Rosse due to its high butterfat and protein content. This Reggiano is the richest and creamiest of all despite its long maturation. Vacche Rosse is known for its nutty and grassy flavor that reminds some of the Reggianos of the past. Pecorino Affienato – Like all pecorinos, this Il Forteto cheese is made from 100% sheep’s milk. Its hay and honey aging process combines the two flavors with the unique strong taste of sheep’s milk cheese. Pecorino Antico Mugello – Berry sweetness can be found in this Il Forteto cheese made of pasteurized sheep’s milk. This cheese is aged for six months and treated with tomato concentrate which leaves a red crust. Under the red crust lies a straw-colored, powerful and aromatic cheese. Note: Antico Mugello is said to have a “crackling” flavor caused by special enzymes in its milk. Pecorino di Sicilia – Dating back more than 2,000 years, this is an ancient cheese of sheep’s milk from inland Sicily. A tart and citrus-like flavor can be found in the sundried-tomato infused version. Other versions include chopped pistachio nuts and green arugula. Pecorino Grand Old Man – This cheese, made by the Putzulu family, hails from the Tuscan town of Pienza. The town takes its cheese seriously; each year its residents celebrate pecorinos with a festival known asFesta del Cacio. Grand Old Man is left with a crumbly texture and a rich, fruity and nutty flavor after its fifteen-month maturation. Pecorino Muravera – Sardoformaggi’s signature creation. The name Muravera comes from Mura – the name of Sardoformaggi’s founding family, and Vera – which means true. Muravera is from the rainy, mountainous area of northern Sardinia. Grass in the pastures becomes thick and green from the extra rainfall, influencing the flavor of the sheep’s milk. This cheese is soft with a lemony flavor and light tang. Pecorino Romano Bronzetto – The best of the northern Sardinian-made Sardoformaggi Romanos. The ancient cheese was once made in Rome and given to legionaries in their daily rations. The extra rainfall of the region provides a lush pasture for the sheep to feed on. Bronzetto is dry-salted by hand for two months and aged for another year. It is known for its piquant flavor. Pecorino Romano Genuino – Referred to as “Genuino” due to its origins in the Lazio area which surrounds Rome, this specialty is made from unpasteurized sheep’s milk retrieved from just outside the city. Genuino is crumbly and grainy making it an excellent grating cheese. It is known for its superior flavor. Pecorino Toscano is a name-controlled Italian sheep’s milk cheese that must be made under exact procedures in order to be authentic. Unlike most pecorinos, Toscano is un-aged. The complex flavor of this young cheese is mixed with hints of wildflowers, herbs, and Tuscan grass. Pecorino Toscano Stagionato DOP – This cheese is a sharp, brittle version of the original Pecorino Toscano. It is aged for three to four months under the watchful eye of Il Forteto. Due to the aging process, the color of this cheese changes from milky-white to a soft hay and ivory hue. Stagionato works very well when mixed into salads. Pepato (Pecorino Siciliana DOP) – This Sicilian classic was originally a staple of the peasant’s diet. It is a hard, aged sheep’s milk cheese studded with whole black peppercorns. Note: Pecorino Siciliana is name protected. Perlagrigia with Truffles –A one-month aged cow’s milk cheese from outside of Venice. Perlagrigia has a young and fresh taste, which is complemented by its truffles. After being washed, the cheese is also rubbed with truffle-infused extra-virgin olive oil. Perlagrigia is covered in ash (“Sotto Cenere”) to preserve its unique flavor. Piacentinu – Exclusive to Sicily, this hand-crafted bold yellow cheese is tinted with saffron during its production. Only antique tools and wooden vats are used in making this mellow flavored sheep’s milk cheese from the town of Enna. Common to the area, Piacentinu is flavored with whole black peppercorns. Piacentinu is aged for three months and left with a springy texture. Piave – Native to the province of Trevino, Piave is made from cow’s milk, which is collected along the river after which the cheese is named. Piave is a “Mezzano” cheese, meaning it has been aged for six months. Following traditions of the area, the curd is cooked and Piave is left to age until it becomes hard. This cheese is known for its intense and full-bodied flavor, which increases with age. Piave Vecchio – This pasteurized cow’s milk cheese from Lattebusch, in Veneto, Italy was created in 1960. Its name literally means “aged Piave”. Extra maturation time gives this cheese a texture similar to a young Parmigiano-Reggiano (heading towards being dry and crystalline). Piave Vecchio is known for its toasted walnut character similar to Gruyere and a caramel-like sweetness similar to aged Gouda. Provolette – A small, pear-shaped Provolone that is made in weights of 1kg. Provolette is made from cow’s milk and can attain additional sharpness by aging in a cellar. This cheese is a good alternative to its 66-pound relative – Provolone Piccante. Provolone Dolce – A very short aging process leaves the delicious taste of the select cow’s milk used in making this cheese. Provolone Dolce is most commonly used on pizza, melted on meat, or slice in sandwiches. Provolone Piccante – A northern Italian cheese made by taking Mozzarella, rubbing it with brine, binding it with rope and hanging it in the cellar to age for a few months. The nine-month aged Piccante is known for its spicy, sharp flavor. Ragusano is an unpasteurized Modicana cow’s milk cheese from the Sicilian countryside. The milk is mixed with natural rennet in a “tina” or wooden tub. The curds are twice cooked in warm water and then allowed to rest for a day in the wooden mastredda. After it matures, the curd is cut into long strips and cooked once again before being stretched and kneaded into an oval ball with a manuvedda (a wooden club). Ragusano then soaks in brine for fifteen days before being hung in tied pairs in the “maizze.” The cheese can remain hanging for up to two years. A thin, pale yellow rind covers the soft slightly yellow cheese. Ragusano ends up with a sharp and aggressive taste. Raschera – This official DOC cheese is named after Lake Raschera in the Italian Province of Cuneo. Raschera is a soft, square Piedmontese cheese with a reddish rind and lots of tiny holes. a blue tinge can often be found. A nutty flavor results from its forty-five to sixty day aging process. ReNero Pecorino Stagionato – Il Forteto makes this three-month aged pasteurized sheep’s milk cheese in the Italian town of Mugello, near Florence and Tuscany. A characteristic of this delicacy is a black protective coating. Its flavor can best be described as full and savory. Ricotta Salata – Native to the hot and dry climate of Sicily, this variation of Ricotta is white and firm with no rind. Its lightly salted sheep’s milk curds are pressed and dried before aging for at least three months. The mild flavor of this cheese is somewhat nutty, with plenty of sweetness. Ricotta Salata is an excellent grating cheese for use on pasta and salads. Rochetta – Made with pride in the Province of Cuneo by Caseificio dell’Alta Langa (owned by Francesco Merlo). Milk from the famed “white” Piedmontese cows of the region is blended with sheep’s and goat’s milk to make this forty-five-day aged masterpiece. The straw-colored Rochetta is rather delicate, with a unique creamy taste. Scamorza – This Italian “pasta filata” or spun cow’s milk cheese is made the same way as mozzarella, although scamorza turns out to be somewhat drier. The pear-shaped Scamorza has a stretchy, stringy texture. This cheese is aged for a few days and is available in two versions: affumicate (smoked) or Bianca (plain). Scamorza is used in many of the same ways as mozzarella. Spilimbergo Stagionato is a pasteurized cow’s milk cheese made in the Friuli Mountains. A smooth rind covers the lightly colored, six-month aged rectangular cheese with small-eye formation. Its flavor can be compared to Parmigiano Reggiano. Spressa Pinzolo – This partly skimmed, pasteurized cow’s milk cheese is hand-made in the Dolomite Mountains of Trentino. Because the milk is partly skimmed (the cream is used for making butter), Spressa Pinzolo has lower butterfat content than many other cheeses. It is a hard-textured, flavorful cheese that is excellent for grating. Stelvio – Cows of the Stelvio Valley located at the foot of the Stilfser Pass provide the fresh milk used in making this DOP (Protected Origin) cheese. Irregular, small-sized holes fill this soft, slightly elastic straw-colored cheese. Stelvio is covered in a red-brown rind, and is known for extremely aromatic flavor. Note: Stelvio is aged for sixty days. Taleggio – Native to the Province of Bergamo, this pasteurized cow’s milk cheese is a member of the Stracchino family. A coarse, rosy inedible crust covers the pale yellow cheese paste. Characteristic flavors of Taleggio are rich, buttery, salty and fruity. Taleggio is known for its intense aroma. Tartufino Speziato – A soft, pasteurized cow’s milk cheese with a distinct aroma. Tartufino Speciato is rubbed with extra-virgin olive oil, cinnamon, nutmeg, and natural black truffles. Tenerella with White Truffles is a hand-made cow’s milk cheese from Tuscany. Il Forteto begins making Tenerella with a mozzarella pouch that is filled with fresh cream, shavings of white truffle and ricotta. The pouch is sealed and ready to be enjoyed. Testun al Barolo – The most difficult to produce cheese from Mondovi. Testun al Barolo requires a full year to ripen; Testun translates to “stubborn.” The cheese can be made with either sheep’s or goat’s milk usually blended with a little cow’s milk. Scents such as thyme, chamomile, liquorice, mint and caramel permeate this straw-yellow, slightly crumbly cheese. Sometimes, select Testun al Barolo cheeses are coated with crushed Nebbiolo grapes and left to age in oak barrels. Toma Piedmontese is an unpasteurized cow’s milk cheese dating back to ancient Roman times, Toma is made in the Aosta Valley and Piedmont. This cheese is dried for days under a layer of mountain grasses, giving it a unique flavor. Small pores can be found under its thin rind. Trugole – Native to the Asiago region of the Italian Alps, this semi-soft specialty achieves a fruity character as a result of the fresh Alpine cow’s milk that is used in its creation. This cheese is special because the cows only graze on select grasses and wild foliage common to the Trugole pasture from which the delicacy is named. Trugole has a soft texture. The wheels of cheese are turned daily to be salted and treated with water. It takes sixty days for Trugole to reach its ideal maturity. Ubriaco al Fragola Clinto is a medium-aged unpasteurized cow’s milk cheese from the Veneto region. It is characteristically rubbed with two different types of grapes from the region; the Fragola and Clinto grapes. The combination gives Ubriaco al Fragola Clinto an unmistakably sweet flavor. Ubriaco al Prosecco – An unpasteurized cow’s milk cheese from Veneto, coated with Prosseco grape must (by-product skins from wine-making). A fresh flavor accompanies the intense aroma of Ubriaco al Prosecco. This is a perfect cheese to pair with wine. Ubriaco al Vino is a semi-soft, pasteurized cow’s milk cheese from Friuli, aged for three months in a blend of Merlot and Cabernet wine must. No other cheese had been produced in this manner. This cheese has an unmistakable fruity flavor. Ubriaco di Amarone – A five month-aged Monte Veronese washed in Amarone; a wine produced by drying grapes before fermentation to concentrate their sugars. This sharp and tangy cheese is infused with overtones of alcohol. Valtellina Stravecchio – From the Valtellina region of the Italian Alps, this unpasteurized cow’s milk cheese is based on an original Bitto recipe which can only be made four months out of every year. Thankfully, the tangy Valtellina can be made year-round. Valtellina is aged for a full year, leaving it hard and sharp. Vento d’Estate Vaccino – This Barricato, or wooden barrel-aged cow’s milk cheese from Treviso is buried under hay from the historic mountain of Monfenera during its maturation process. Vento d’Estate Vaccino is known for its barrel-wood, lilac, pear and straw fragrance. It has a rich, savory flavor. Ed Garrubbo has been studying, cooking, searching for, and thinking about la cucina italiana for as long as he can remember. He cooks a wide range of Italian dishes, but loves his pasta most. He visits restaurants, cooking schools, markets, and food artisans across Italy, and wherever Italians practice their craft. 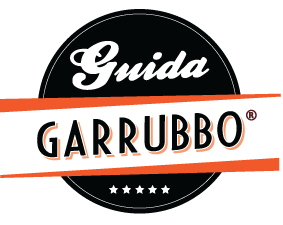 He is a member of the Accademia Italiana della Cucina, and is a citizen of both the United States and Italy. Can you tell me if the cheese”Erbo Gilbani” is still manufactured. It’s a creamy blue vein cheese in a cylinder shape. Although it’s not necessary with blue veins more like swirls of blue. I called the store where I bought some and they say it’s pasteurized and other sources on the internet say that it’s pasteurized. This is a matter of health. A guest cannot have unpasteurized products and they are coming tomorrow, Friday, October 3rd. Please let me know as soon as humanly possible if you are sure that’s it unpasteurized. Sorry. i was traveling and just saw this. I would imagine that in italy it is unpasteurized, but in the US it is. I would go by the cheese seller’s opinion. Good luck. I am looking for……. What say you all? Does the Ricotta come in a wheel package with the 3 Goats on it. Also, could you tell me where to buy the Ricotta that comes in the wheel form that has the 3 goats on the front of the package. Thank you so much. I used to be able to buy at Russo’s in Brooklyn a type of Sicilian Table Cheese (also from Two Brothers from Brooklyn in Middletown NY) that had no peppercorns in it but had a wonderful just-strong-enough flavor. Now they don’t seem to carry it except with the peppercorns and tell me the plain one is called Primo Sale. But it is not at all the same cheese as the Sicilian Table Cheese. Can you identify what I am talking about please? I’d love to know where I can get it again. Thanks. Perhaps it was ricotta salata? Was it a hard cheese? Nice list and descriptions. Thanks. Came across your site…I just retired as an independent business owner at the age of 54! My energy and need to continue learning is consuming my thoughts continuously. My wife and I recently went on our second trip to Italy and I had my “ah ha” moment. I want to explore opening an artisan Salumeria / Formaggio in a quaint little town in MI. There is nothing like this in my area and a wine / charcuterie gathering spot would be popular (I think). any input would be great!